In the world of street food its clear to see Street Kitchen was not just one of the first but is surely one of the best. Working out of a silver airstream vans in two london locations, when they came to do an event at the Kitchen Home in battersea they approached .cent to help them create a visual informative leaflet for the occasion. 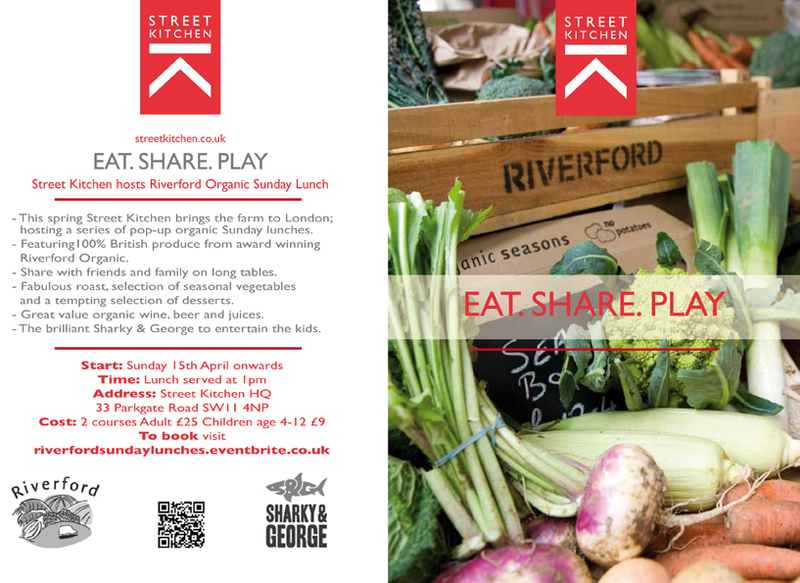 The artwork was created to advertise a family Sunday lunch consisting of organic roast lunch alongside entertainment for the children in order for the whole family had wonderful day.